Eating disorders are on the rise, and we see them in both men and women. Negative thinking and depression due to an unhealthy body image are also very common. 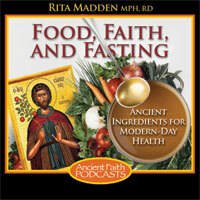 Rita discusses ways to develop a healthy relationship with our bodies in keeping with the Holy Orthodox Faith.